Your first step toward success as a professional coach is enrolling in an International Coach Federation (ICF) Accredited Coach Training Program. Earning your ICF credential is the cornerstone of your credibility as a professional coach. Where you earn your credential is no less important. When you choose a coach training program that is fully ICF Accredited, it ensures you receive everything you need to work through the credentialing process, including mentoring and exam prep. It’s a critical decision, but not one you should feel intimidated by. Your ICF credential is a calling card, now globally recognized, that positions you within the profession by ensuring you possess the knowledge, skills and training to serve your clients at the highest capacity. I’d like us to break down that broad outcome. Because the training you receive through the credentialing process provides considerably more than just a title. 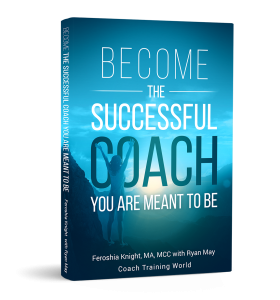 So in this five-part series, we’ll look at the five specific areas in which training to become a coach can impact your life and the lives of those you choose to serve. We’ll dive deep into these reasons and explore ways for you to personalize each to your current situation. 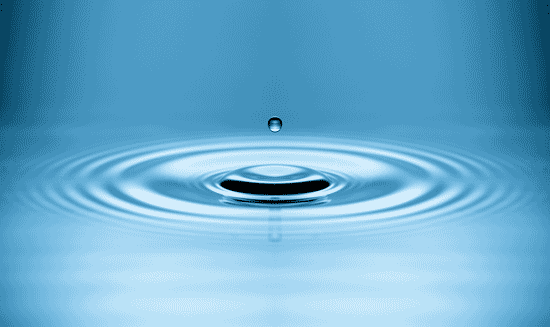 Reason #1: You become exponential in your capacity to affect change. There is currently no mandate for coaches to be licensed. Unlike doctors, psychiatrists and physical therapists, anyone can slap the title “coach” onto their name and purport to offer coaching services. In my experience, most of these would-be coaches genuinely want to help others. From their point of view, they are coaching. What they don’t realize is that the outcome of their efforts could be exponentially greater (not to mention far more reliable) with the proper skills in their toolkit. Imagine setting out to cook a five-course meal for your family and friends. Now imagine you’ve never cooked anything apart from TV dinners or the occasional hard-boiled egg (and begrudgingly at that). You’re probably not going to know the difference between au jus and au sec. How about the difference between a béchamel and bordelaise sauce? Or which tool you’d need to create polenta – a ricer or a rice cooker? Now imagine having to produce this fine meal without recipes… and your finished dishes will be featured in the Thanksgiving issue of Bon Appétit. Slightly exaggerated? Yes. But this scenario is pretty close to what an untrained coach does when they try to help others without a proven methodology, training, mentoring and tools. Similar to the overcooked, flavorless meal that would almost certainly ensue in the example above, coaching clients suffer as a result of mixed, disheartening results. Sadly, our collective reputation as coaches suffers right along with them. Like any other occupation, the communication skills and change mastery tools of professional coaching are only available through a qualified professional coach training program. 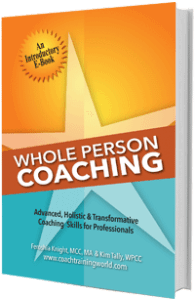 The fastest, most dependable way to cultivate an exponential impact in your life, and the lives of your clients, is the self-innovation advantage provided through Whole Person Coaching. Self-innovation refers to one’s ability to mastermind their own solutions, leveraging their whole self – mentally, emotionally, physically and spiritually. Few of us are born with this human “technology.” But it’s a capacity you can develop in yourself and others. In fact, as a Whole Person Coach, that’s exactly what you are doing for your clients – developing them to be highly effective in any aspect of their life. This gives them the confidence and courage to create the life they truly want to live. As a trained professional Whole Person Coach, you are highly adaptive. You leverage a multi-modality approach that empowers you to work with a wide variety of clients and coaching contexts. Because you possess the skills of a change artisan, you can confidently work with whatever arises. You operate free of doubt, confident you are on the right path to delivering the results your clients have come to you for. Whether through your own experience or that of others, you’re probably familiar with just how easy it is to get stuck in a mental pattern. The same is true of a limiting belief or ruminating over why things went the way they did. And have you ever been kept awake at night worrying incessantly about a future outcome? Not only are these patterns frustrating to us as individuals, they are also challenging for those trying to help. Tapping into the multiple intelligences of the whole person is an essential element to affecting change in others. It’s all about the desired outcome. Being able to work with these different aspects gives you options that produce breakthrough results for you and your client. We’ll explore the self-innovative tools that facilitate tapping into an individual’s own resourcefulness in Part 2 of this series. For now, simply know that the core of your approach centers on your clients’ unique needs, strengths and opportunities. Your success depends on the knowledge, skills and support that enable you to incorporate your best into the coaching process. These aspects of your training are also the primary contributors to your overall ability – a capacity that ensures you deliver the results your clients have come to you for.